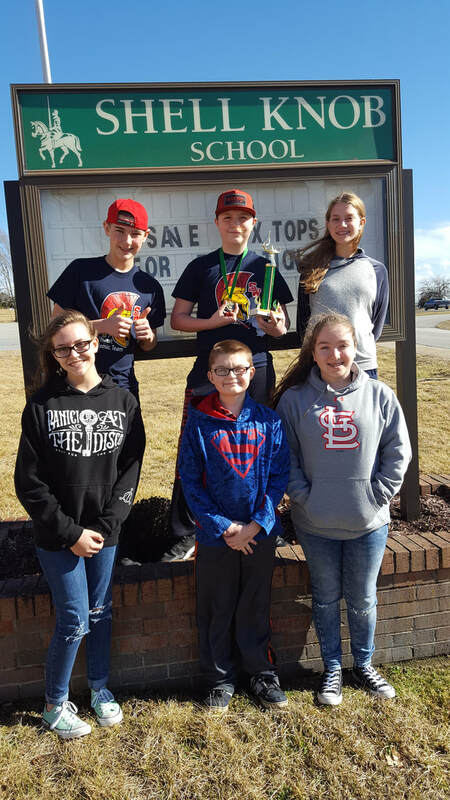 The Southwest Middle School Academic Team placed second in the 12-team Shell Knob Tournament last week. After losing to Willard in its opening match, the Trojans defeated Fairview, Dadeville, Shell Knob and Weaubleau to win their six-school pool. Shell Knob defeated Southwest in the championship match. The team, which finished the season with 11 wins and 9 losses, was made up of: Charlie Pippin, Tristan Fry, Natalie Senko, Clark Brinkman, Rachel Willer and Madison Snow. The team is coached by Steve Voyak.